The babyface and heel dynamic in professional wrestling is one of the most important elements of the sport. Since its rise to popularity, the rivalries between good guys and bad guys have created years of memories, as well as helped elevate numerous stars. One of the most villainous heels in pro wrestling history is “The Nature Boy” Ric Flair. Because he was a very effective heel, names such as Sting, Ricky Steamboat, Barry Windham, Lex Luger, and Dusty Rhodes were able to significantly raise their stock as babyfaces, and each of them become a world champion. In fact, Sting and Steamboat specifically rose to the main event level due to their rivalries with Flair. For WWE, the name that stood out above the rest was Hulk Hogan. As a result of being the most popular babyface in the company, names such as Andre the Giant, King Kong Bundy, Earthquake, Kamala, and the Undertaker were able to have a more dominant presence, since they were laser-focused on ending “Hulkamania.” “Macho Man” Randy Savage would even align with Hogan, and become the most hated villain when he turned on him due to becoming jealous of his relationship with Miss Elizabeth. Hence, the Mega Powers exploded. During the Attitude Era, WWE introduced a new kind of “good guy.” “Stone Cold” Steve Austin commenced one of the biggest feuds in WWE history against his boss, Vince McMahon, and fans cheered him for being the anti-establishment figure. However, Vince McMahon was a great feuding partner, as he undoubtedly received the biggest jeers during this era. Nowadays, the dynamic between babyfaces and heels are more blurred than ever. Fans enjoy matches, but oftentimes complain about the level of intrigue. To many critics, this is due to the character element of wrestling falling by the wayside, which is one of the foundations of making it popular in the first place. 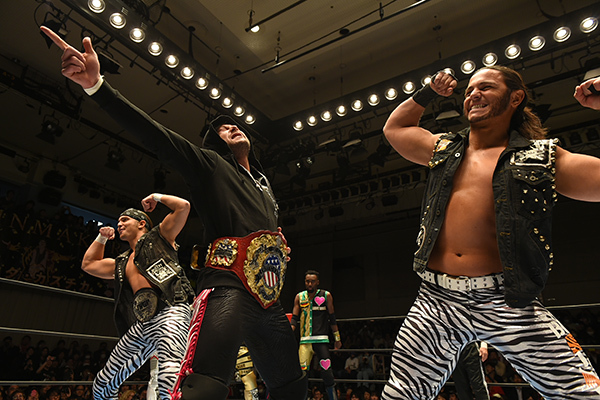 Teams like the Young Bucks and Undisputed Era, as well as factions such as Bullet Club and Los Ingobernables de Japon, are so popular as heels that it makes it hard for their babyface rivals to get over. On a recent episode of The Sam Roberts Podcast, former WWE Champion John “Bradshaw” Layfield expressed his disdain of heels getting cheered. He added that he got upset one time that someone was wearing his shirt while he was a heel, and requested to Vince McMahon to take it off the shelf. JBL also stated that there is only a small handful of people who embrace the heel character now, which has become a detriment to the pro wrestling business. His colleagues who were also on the show, Eric Bischoff and Bruce Prichard, agreed with this subject being a problem with today’s pro wrestling.